The 21st century, due to constant crises and wars erupting worldwide or at least to our access to information on them, is moving forward with a sense of pessimism and indifference. Human history is knitted through by decade-long wars, epidemics that wiped out communities, acts of violence by powerful bullies, and instances that are simultaneously victory and defeat for different people. Yet we cannot overlook the cultural productions accompanying humans throughout history that have been feeding on these negativities; architecture too, as a profession which not only provides for humanity’s fundamental housing right, but also goes beyond the mere act of constructing, is a part of these productions. 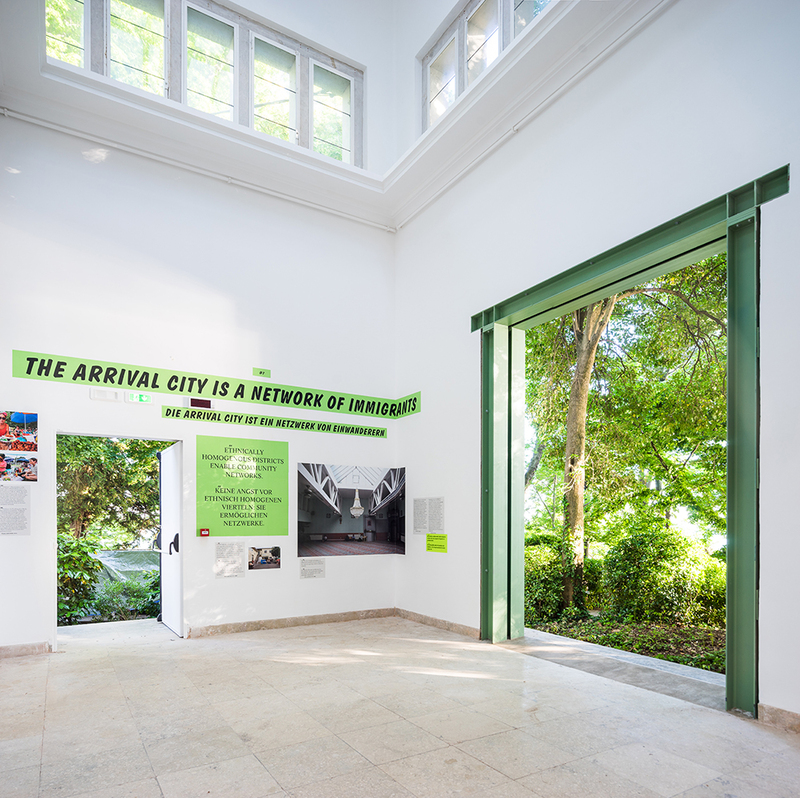 With the title of “Reporting from the Front,” Venice Biennale: 15th International Architecture Exhibition refers both to the progression of this world, and to the profession’s struggle to survive within that context. Curator Alejandro Aravena has selected a topic hard to embrace and cope—particularly through the analogies of war and front. Elemental, the office of the Chilean architect Aravena—the second only architect to win the Pritzker award before the age of 50—has drawn attention to itself with its humanist approach to the housing problem in the country, as well as its high-profile private projects. Aravena and his team completed the organization process of the biennale in under 11 months (Rem Koolhaas was declared as the curator of 14th biennale almost simultaneously after the 13th); and the projects on display provide a glimpse of the world’s pessimist state, viewed through the frame of architecture. The curator shows a consistent approach throughout the biennale, expressing support to every project he had invited to the event by releasing a detailed statement regarding each and every one. 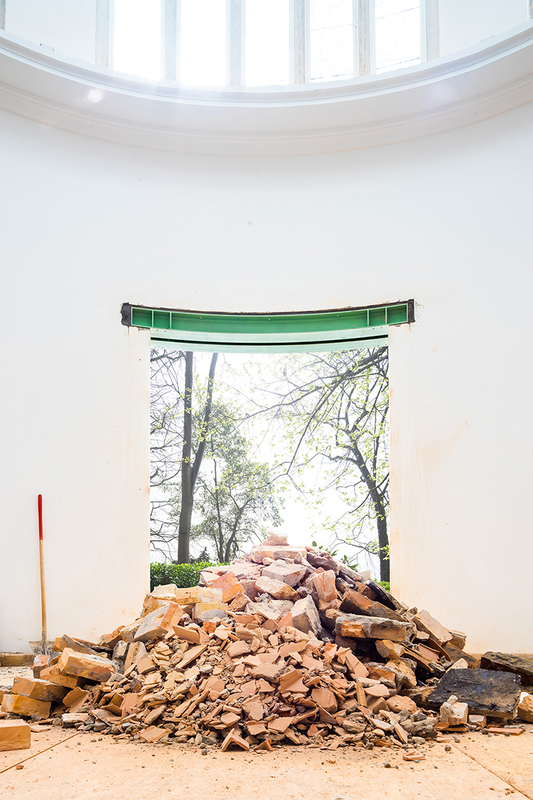 Approaches, seeking to give answers to acute problems, determine the main theme of the biennale, similar to the ones observed in the Golden Lion-winning Spanish Pavilion that carefully presents unfinished constructions that were interrupted by financial crisis. Projects displayed in the Italian Pavilion particularly, through various scales and programs, search for what architecture can do with regards to the current problems. The variety of the presentations and the limited number of famous studios provide the biennale with a wide perspective of the profession. The housing problem for instance is not addressed through the subject of increasing income inequality in the developed countries, but through current facts such as climate change induced natural disasters, floods of refugee populations escaping wars, and the lack of security in cities that are in the focus of the immigration issue. This approach has paved the way for the young and/or small scale offices to participate in the biennale with acupuncture-like, pinpoint intervention styles. Meticulous and modest projects can attract the attention of audiences on these topics; and it is praise-worthy that Aravena has managed to largely accomplish that within such an intense environment like the biennale. Considering the scale of the global problems, most of the projects may create the perception that architecture appears as a Don Quixote in fighting. We can talk about a working style that may be described as local approaches on general problems; and the most important fact the biennale has revealed is that the local approaches, across the entire world, are essentially no different than one another. Despite many facts that indirectly affect our lives such as political and socio-economic incidents, and climate change, the reactions of architects in Africa, America, Asia or Europe resemble one another. The projects, containing solutions within their respective contexts rather than a dominion of iconic buildings, point towards a fragmented culture of profession rather than a global, arrogant one. Seeing new results every time you look at the same pattern, like looking into a kaleidoscope, gives one hope for the future of architecture. Still, we cannot ignore that architecture needs, in order to find solutions for social problems, the support of local authorities to work beside individual efforts. The projects Aravena chose to display prove that high quality works can be done through pinpoint interventions and that the number of such examples is quite high. Within this context, it is safe to assume that what he aimed for at the end is catching the attention of local governments and receive their support. But it is a risky situation for governments to conduct small-scale businesses instead of creating iconic buildings with famous architects. Thus how permanent this approach will be is questionable—this approach that was created by the architectures on the biennale—regardless of their affects and sizes. I think what is really important here is understanding that the humanist approach supported by Aravena is not only a naive dream. If the curator had selected conceptual or theoretical projects, there could have been a perception that the displayed architectural projects were only products of imagination. However, most of the displayed projects are already constructed, and this shows us the level of contribution architecture can make for societies if it decisively adopts this new approach. For instance, co-housing projects exhibited at the Japanese Pavilion prove that remarkable architectural projects can be carried out with simpler methods (and, of course, with steady construction quality.) The spatial intervention of Germany to its national pavilion is also an example: The spatial perception created by cracking the walls of the building, or more so the “demolishing” them, brings a new perspective to the reality of destruction. 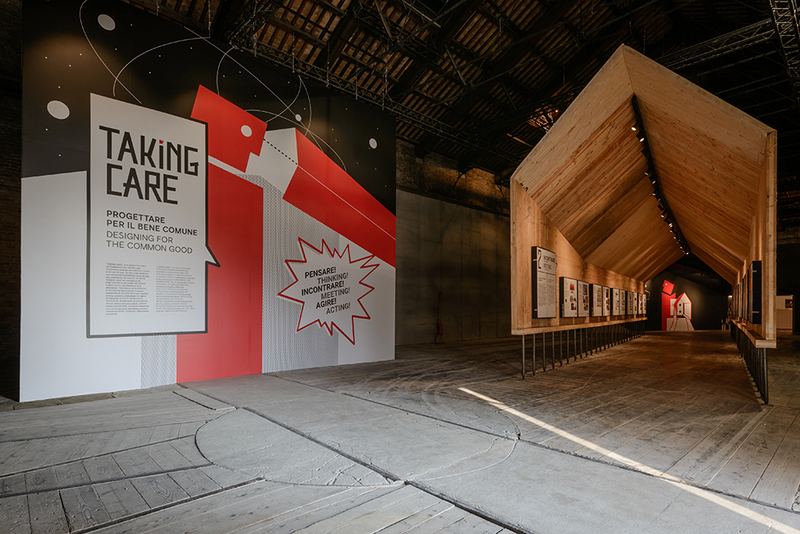 The integrity of the act of thinking, and also of doing, within the unified frame of the biennale, underlines the necessity of this integrity for the future of the architectural culture. In the light of all, 15th Venice Architecture Biennale is not a fleeting exhibition that can only be admired by architects. Its strong focus on social facts, the emphasis it puts on pinpoint interventions, and the variety of the projects displayed, are all expanding the diameter of the circle by which architecture is occasionally limited. Because an extended circle is naturally inclined to touch more points in space, the biennale provides, without difficulty, a realist point of view within today’s architectural perspective by avoiding artificialness. The biennale adds humanism to the three conditions—firmitas (firmness), utilitas (function) and venustas (beauty)—set by Roman Vitruvius to achieve perfectness in architecture. Aravena has accomplished to present a biennale showing us that architecture is progressing without having to compromise on these conditions, despite the pessimist progress of the world. The clear and literal tone of the text in front of the Pavilion of Italy, in which the curatorial principles are explained, is a sign of how sincerely the architect believes in the projects he/she chooses to exhibit. This time, the biennale is inviting architects to construct and work with instant and imminent answers given to questions (problems) raised by the environment we live in, rather than waiting for a set of perfect conditions to materialize. If this approach is globally embraced and maintained as the culture of architecture, we may reach a point where local government and investors cannot ignore the architectural quality that it is set to create. 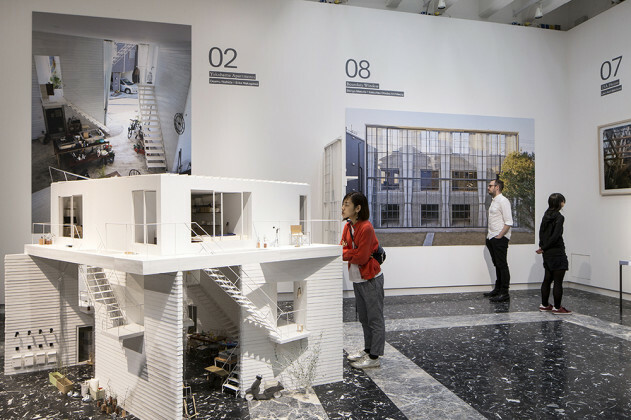 Therefore, the biennale completed by Aravena provides us with a more realist method to work with than it was perceived to be in the first place. Aravena refers to a professional culture that can find a balance between imagination and reality, a culture that can go further even by taking smaller steps, without ignoring the times that lead us to pessimism, and without sacrificing the principles of architecture. 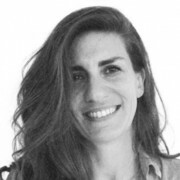 If we are to keep standing by these principles, there will be nothing in the way of this biennale’s architectural projects as they advance together with their respective societies, and subsequently, mark an important moment in the history of the profession.